The IS-1 is a calibrated 1” internal diameter integrating sphere photodiode laser measurement sensor. 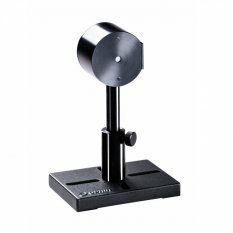 It is used for measuring divergent beams up to +/-40 degrees, especially from fibers. It has a 5mm aperture and can measure from 20nW to 20mW. It covers the spectral range from 0.35 to 1.1µm. The sensor comes with a 1.5 meter cable for connecting to a meter or PC interface.